Bénédicte Leroy’s parents were originally sheep farmers settling in Essoyes in 1975 to start a small farm on a clearing above the town. In the 1980s they learned they could plant grapes on the the land they had been renting for the sheep to graze. Little by little, they created a domaine which today is four hectares, not including the garden and small pasture they kept for their own animals. All of the grapes were sold to the local cooperative. In 2009, when her father was about to retire, Bénédicte left her job as a physical education teacher to take over the domaine. They are working on the conversion to organic agriculture, and started making their own wines. They apply the principles of biodynamics in both the vineyard and the cellar. Their quest for the simplest winemaking has lead them toward the spirit of ‘vin nature’. 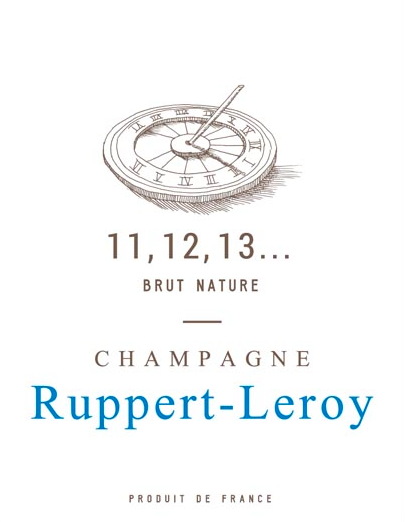 Each cuvée comes from a single vintage of a single vineyard, bottled ‘brut nature’ with no dosage. Organic. Clay-Limestone with a majority of red clay. Elevage in tank sur lie for 6 months, then 2 years in bottle ‘sur lattes’. Bottled brut nature. Complex and elegant. Aromas of white flowers, peche de vigne, and pears. Fresh in the mouth, silky with a beautiful fluidity. 7,000 bottles produced.